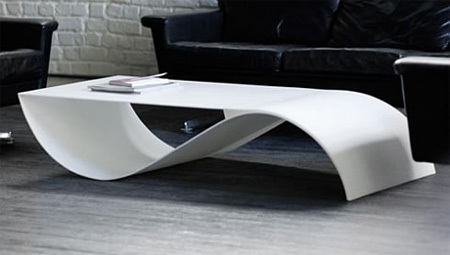 Modern coffee tables and creative table designs from all over the world. 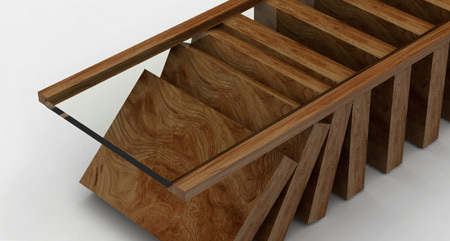 The Fish Table is the work of a talented designer that goes by the name of Pol Quadens. 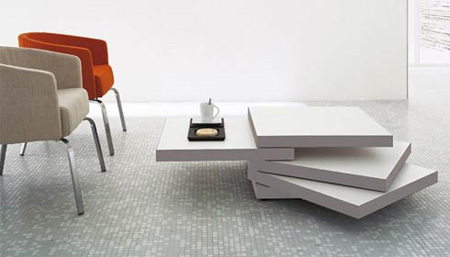 A concept in motion, the Domino table lends new elegance to a classic exercise in physics and play. 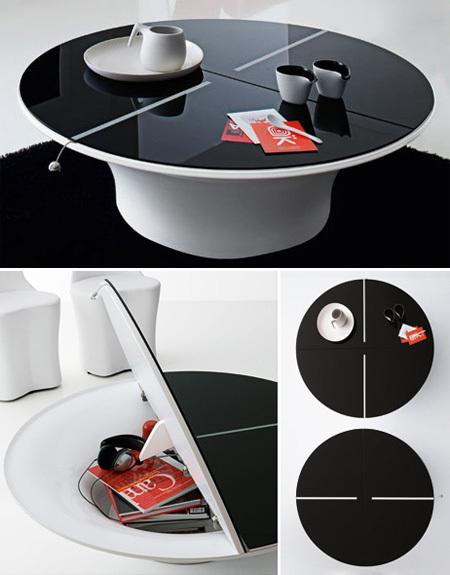 Creative coffee table from Italian company Com.p.ar is a real space saver, ideal for compact city homes and urban lofts where spare room is hard to come by. 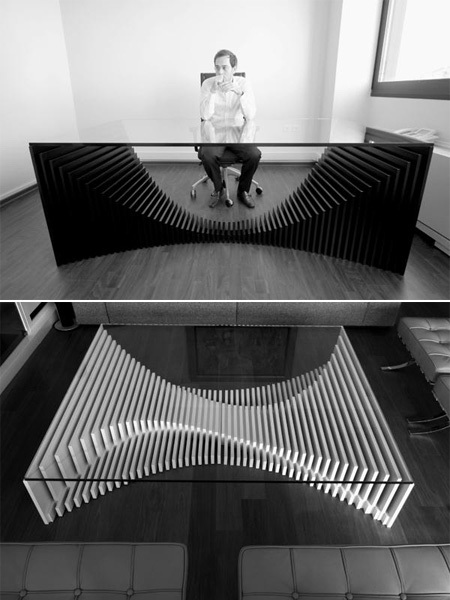 Creative table design by James Tooze. When standing in a particular spot, the graphic on the table becomes the very structure of its own construction. Much like an X-ray of the table. 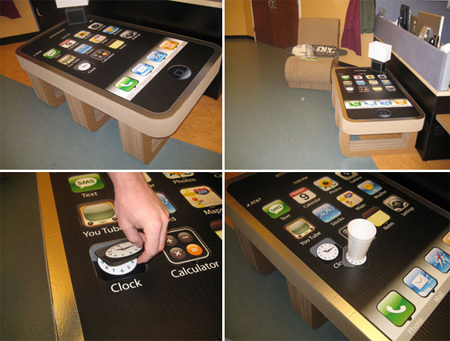 Tuan Nguyen, Ken Thomas and their associates have created an iPhone coffee table. 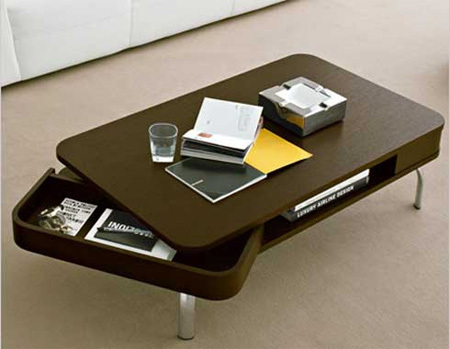 The Retro contemporary coffee table by Calligaris is both stylish and practical having a central open compartment under the top and two side drawers that open by a rotating pivot pin. 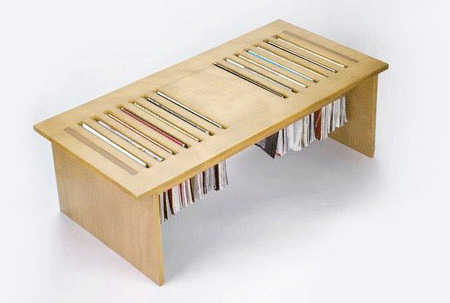 Designed with versatility in mind, this coffee table features 14 slots for your magazines. Creative coffe table inspired by the classic toy we all grew up with… and still have today. 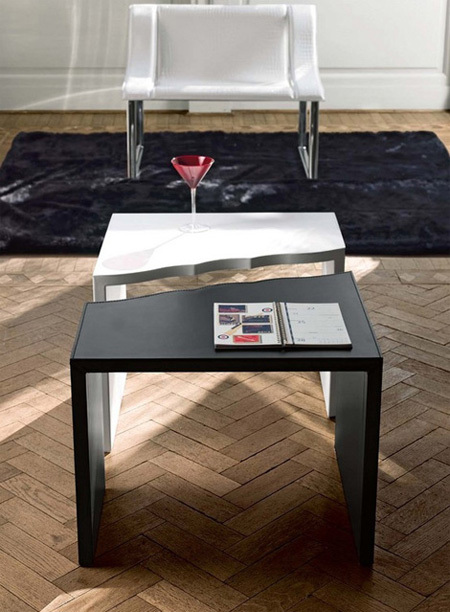 This table will add a wonderful touch to any contemporary decor. 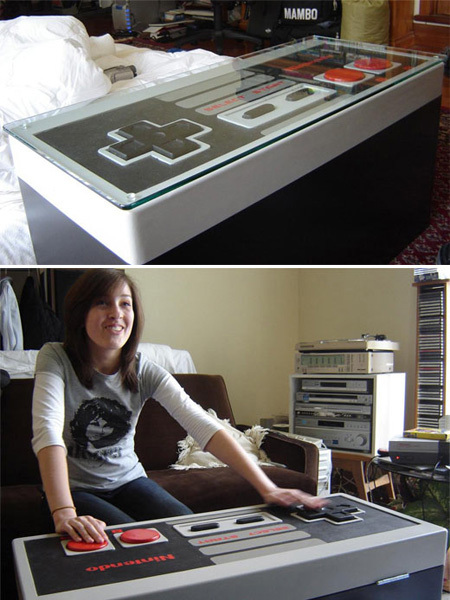 Not only does this coffee table look like a giant NES controller, it is actually fully functional. 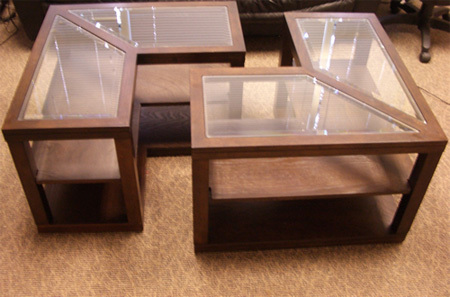 Two coffee tables can be placed together in a number of varied arrangements or placed separately for use as end tables. 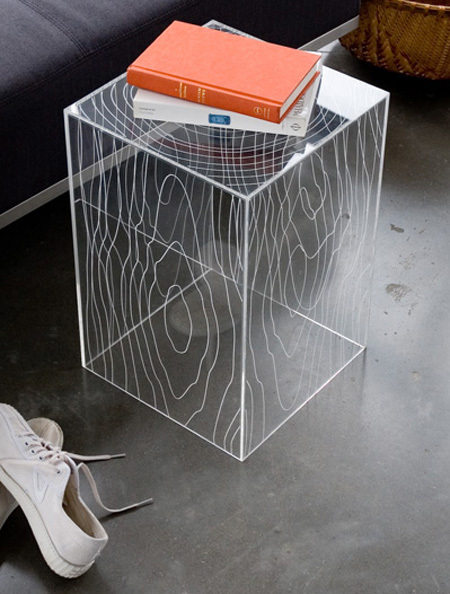 Creative table spotted in the lobby of Milan’s Nhow design hotel by Nicole Martinelli. Thanks to an ingenious system of rotating plates, this table can take a multitude of shapes and sizes. 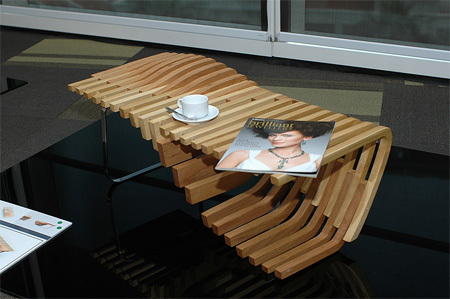 The form is derived by using two different American woods interlocking each other, one creating the structure and the other creating the surface for the coffee table. 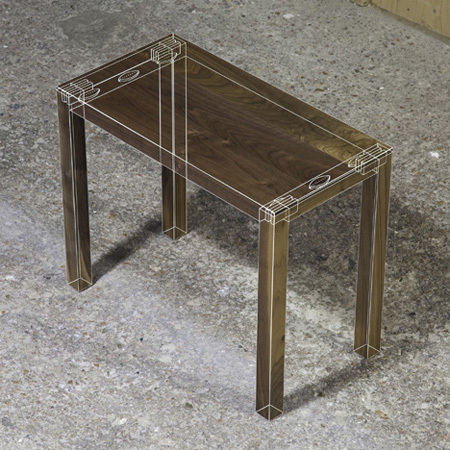 The Mungle furniture range is the product of a digital design technique that incorporates simple elements, which, in proliferation, are able to articulate more complex overall geometries. 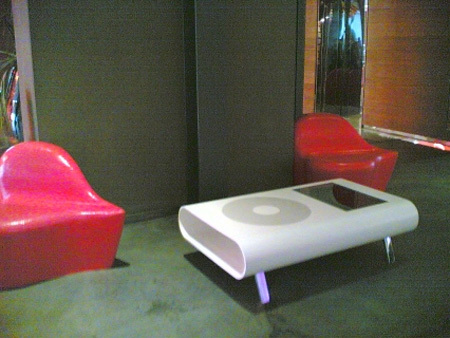 iPod inspired coffee table created by Ashley Burrows. 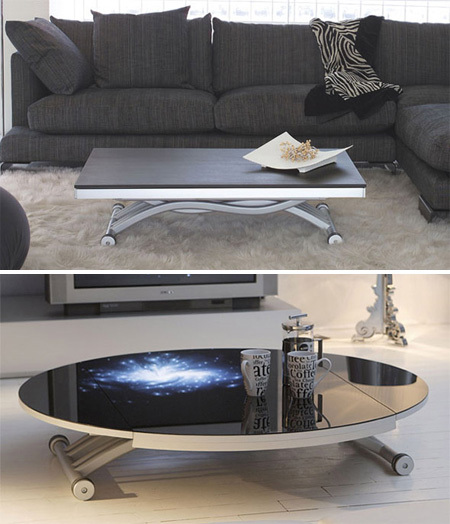 These innovative space-saving table designs feature gas-lifted devices to raise the table to its desired height. 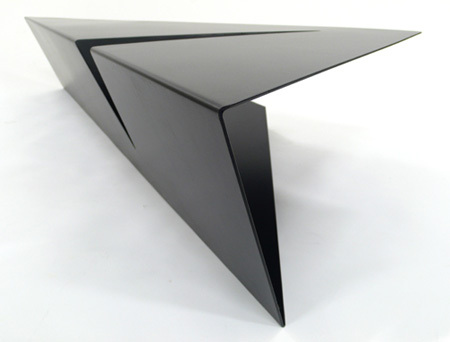 Beautiful table explores triangular shapes creating a piece of expressive furniture for the domestic environment. Not one but actually two tables appear to be split apart as if they were two parts of land split by a canal. The NES Controller table made me happy! 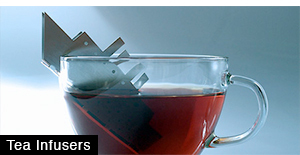 The iTable is awesome, and the idea of iPhone buttons as saucers is amazing. I gotta admit that the Apple related tables are tacky. Mungle is outstanding! #1 for me. 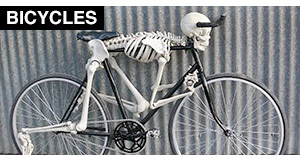 Yeah, Mungle and Nonagan are so slick. 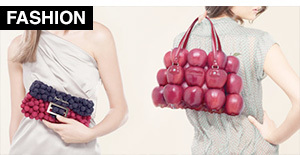 Apple is played out. 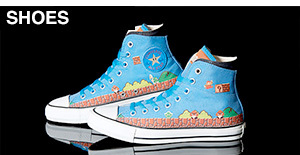 i found your site intertaining and very good thnks for cheering me up and putting a smile back on my face signed m.max..
ohh…im verry love nintendo table!!!! 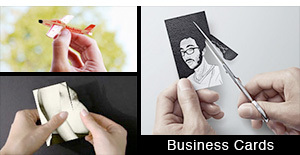 I wish I knew this site before…But, better ever than never :) Great designs! I enjoy! Thanks. 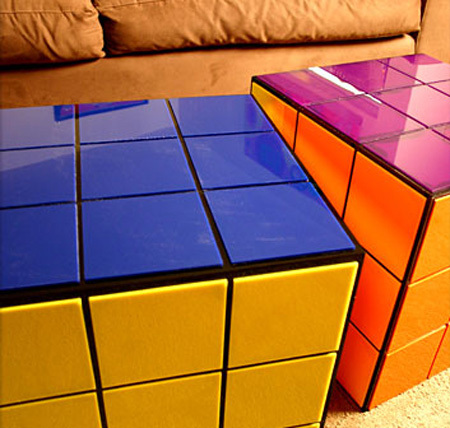 I found these tables interesting… The rubics cube could fit a whole bomb. 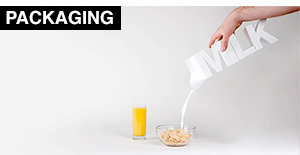 But the Mungle was inspirational indeed.